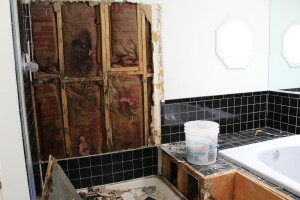 The demolition process was not a quick one. 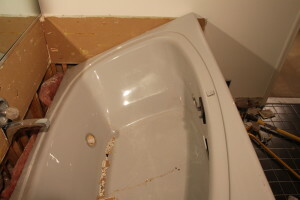 The tub had to be sawed into three parts to get it out of the space. 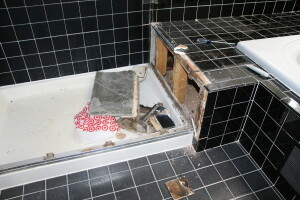 Behind the tile in the shower we found mold from all of the moisture that had seeped behind the tiles and onto the insulation which we carefully removed. 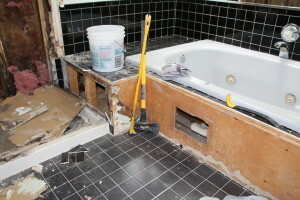 We tore up the tile and construction that housed the tub as well as the tile on the floor. 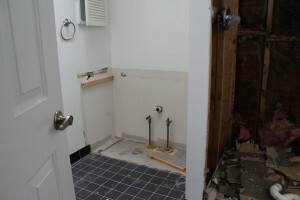 The shower doors, shower base, vanity and toilet were all removed and disconnected from their respective plumbing. 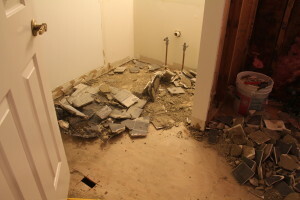 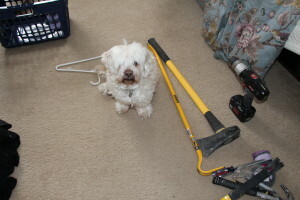 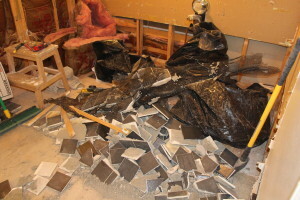 The clean-up was very difficult as we had to make a ton of small trips because the tile debris was so heavy. This is a long but exciting process. 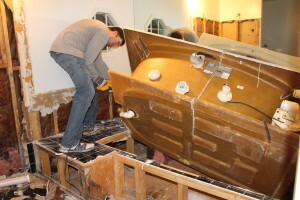 I can’t wait for the end result.